Just like the rain drops in the tree branches after a shower, the taste of home lingers in your tongue even after months. 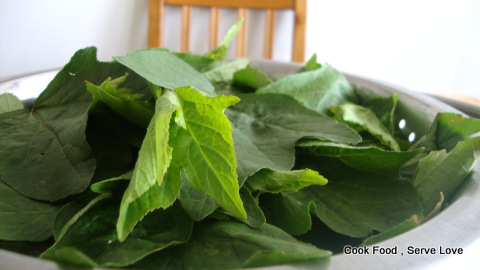 I sprung like a kid already, when I saw the gongura leaves in Devon – fresh and On Sale ($3.99 when even the wilted ones usually go till 6.99). I bought a bunch, came home and called my mami (Uncle’s wife). 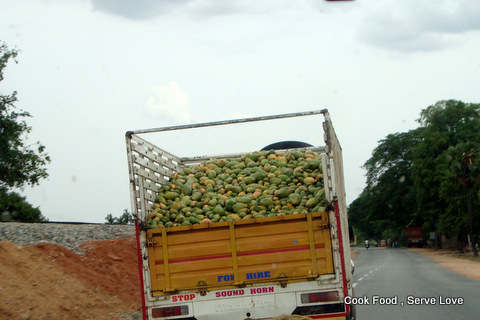 The reason is that this is very famous in Andhra and my mami lives in Tirupati, she makes this in the authentic way . She is my inspiration and the standard in our cooking lingo. 🙂 Thanks Radha Mami! Snip the leaves, wash and dry them. In a heavy bottomed pan, dry roast coriander, cumin, mustard and chillies. Powder them to a fine paste and keep aside. 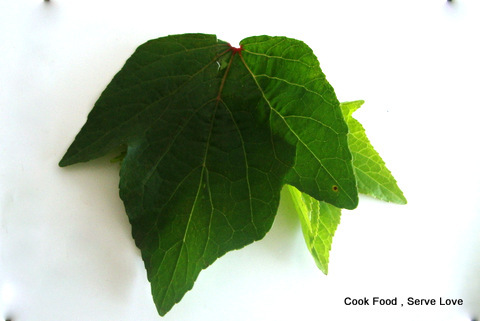 In the same pan, add 1 or 2 tsp of oil and wilt the leaves till they change color and soften. Grind the wilted leaves into a fine paste adding no water /minimum water. Heat oil in another pan, sputter mustard and add minced garlic , followed by the leaf paste and the masala powder. Add salt to taste and turn off the heat. Enjoy the summer while it is there! Our Grandma ,Lakshmiammal is one great personality known for selflessness, love and generosity. Even when she was young she had made several sacrifices that no other normal girl would do in her personal life. Many days she used to feed the food she had for her to the poor begging at her door. When we moved to Chennai, to a highly compact apartment, she made many new friends. When the young ladies return from their work , they got to pass by our apartment. So they will stand by to say ‘Hai’ and ‘Bye’. My Grandma knowing how tired they will be and will make/ share her tea with them. Such was her thoughtfullness. She never had a selfish motive or desire. All her life was spent in the kitchen making delicious food and her happiness was in making people happy through her ‘kaipaagam’. She is more than Grandma to me and my three brothers for she brought us up since our primary school. It is now 10 full years since she left the world (April, 8, 1998) but memories of her love has not faded even a bit. To any women who know her , she was a great inspiration and an ideal women. I started this blog to honor her and her unique recipes. 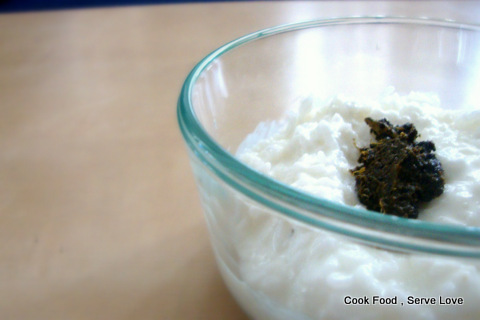 At this point of time of remembrance, here is another classical chutney recipe of my grandma. Heat a skillet , add a tablespoon of oil, roast the dall, keep it aside. Simlarly roast the chillies. Slice the onion and tomato and fry them till they are cooked well. Grind all with tamarind , coconut and salt to a grainy/smooth texture. For those who like crunchy bits, (My mother does this) fry another 1/8 cup of urad dall till golden and add to the mix at last . Do the tallipu and add it too. Pulse the mixer for once or twice. Yummy chutney is ready to be served with Idly or rice as thogaiyal.